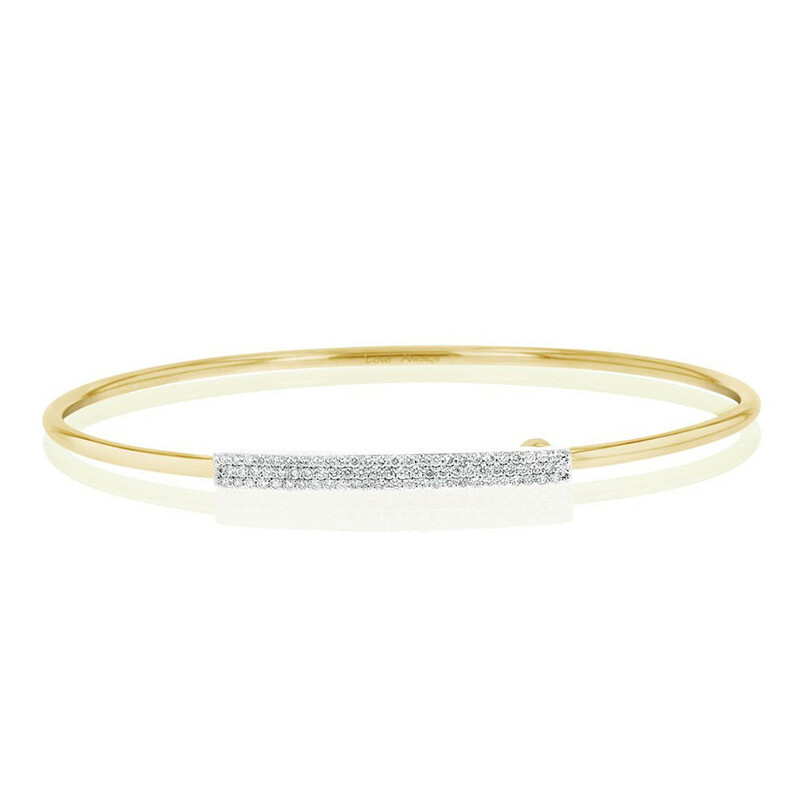 Thin is in, as evidenced by this 14K gold and diamond bracelet from Phillips House's Affair collection. Wrap your wrist in 14K yellow gold that features pave diamonds set in 14K white gold, covering a rectangular shape that runs from the top to the bottom of the piece at its center. This Phillips House bracelet, with amazing aesthetics, is delicate and feminine.